In the immortal words of Alton Brown, “Unitaskers are evil!” Make your furniture work double duty by choosing pieces with built-in storage. Apartment Therapy recommends ottomans for this, as they work well for foot rests, seating, side tables, and hidden storage. ForRent.com provides small space inspiration by showing how small home and apartment renters maximized their spaces and used creative design features to make their homes feel more spacious and inviting. Many small apartments are cursed with a tiny kitchen that doesn’t offer nearly enough storage space for your pots, pants, stand mixers, waffle irons, and the plethora of other appliances you’ve accumulated over the years. Huffington Post recommends kitchen island carts with wheels, so you can move it in and out of the way as needed. These carts provide an extra working surface, as well as additional storage space. If you prefer the neat and tidy look, opt for a kitchen cart with closed cupboards underneath. Otherwise, choose the cheaper, open door option. 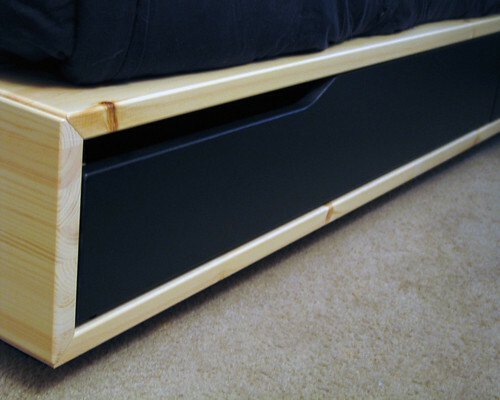 Choose a bed that has a high clearance off the ground or a bed with build-in under-bed storage. A typical bed frame offers plenty of space for long, low profile totes. Consider using space bags to fit bed linens and off-season clothing under the bed if you don’t have totes. If your bed or headboard offers additional storage, take advantage by keeping all of your bedroom essentials and linens neatly tucked away. A murphy bed is an even better solution, as it folds up into the wall and provides renters with additional floor space throughout the day. It’s particularly important to take advantage of every storage space opportunity possible. Don’t neglect vertical space storage options, such as shelving units and over the counter pot and pan hangers. 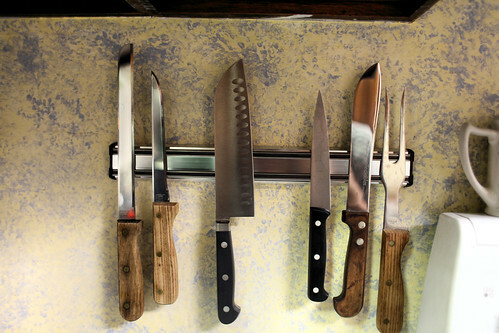 A magnetic knife strip on the oven backsplash or on the wall helps keep your preparation tools close at hand and off of a knife block on the counter or in the drawers. Another issue with studio apartments is that all of the rooms flow together, and it’s easy to have problems winding down for bed when you have your television and entertainment options right there. Use a large bookshelf to physically divide your living space with your sleeping space. 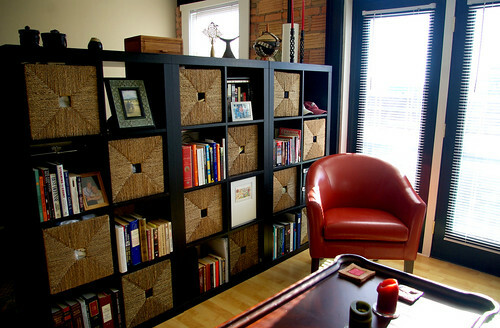 An Ikea Expediate or similar open cube design even lets you have access on both sides of the bookshelf, making it incredibly useful for storage.